Toxic stress is everywhere. 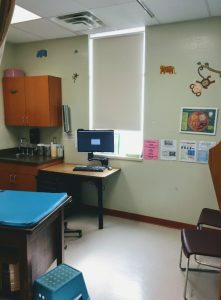 As a pediatrician in Baltimore City, I acknowledge the elephant in the exam room at nearly every appointment. Abuse. Neglect. Domestic violence. Toxic stress is a term used to describe the repeated experience of adverse childhood events without positive interpersonal relationships to buffer the ongoing trauma. As a result, children in such environments are much more likely to have poor health outcomes as adults. Despite major efforts by the American Academy of Pediatrics to develop a solution, there is currently no cure for toxic stress. As far as we know, the best approach to minimizing negative outcomes is to build resilience in children who are particularly at risk. When I stepped into the Indian Health Service’s (IHS) pediatric clinic in Tuba City, Arizona, I had a vague idea of the reservation’s breadth and depth of poverty, intergenerational oppression, substance use concerns and prevalence of domestic violence. However, I was not prepared for how many pediatric mental health issues I would uncover. More significantly, mental health stigma and distrust of non-Native American authority figures meant that the problems I encountered were often chronic by the time I heard about them. Every day brought a new and tragic story. One morning, a teenager presenting for a sports physical circled “yes” to not feeling safe at home. Further questioning led to the disclosure of over a decade of maternal-child abuse. At a school clinic visit, another teenager talked about worsening suicidal thoughts. The story was told with no eye contact as both feet rhythmically scraped against the stool. I referred that teenager to the emergency room for yet another psychiatric evaluation. The next week, a local paper ran a story about a neighboring tribe’s march in support of domestic violence victims. On the last day of my rotation, the pediatricians at the clinic learned that a former patient had committed suicide. Despite generations of discrimination and ongoing barriers to mental health care, the Native American youth I encountered during my rotation were some of the most resilient people I have ever met. Having survived the physical and emotional abuse at home, my athlete was earning straight A’s while sleeping on relatives’ sofas. The article on domestic violence centered on a former perpetrator who was marching to demonstrate the power of community rehabilitation. My teenager with suicidal thoughts visited the school clinic every week of my rotation to talk about mental health. At one of these follow-up visits, we locked eyes and had a long conversation about a previous sexual assault, which I later learned was being disclosed for the first time. 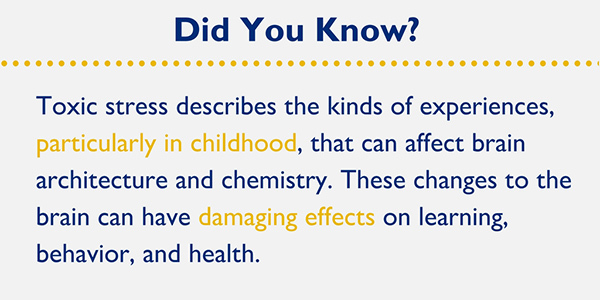 Toxic stress can permeate the life of any child who grows up without the resources he or she needs to thrive. While working for the IHS, I saw how universal coverage enabled universal access to basic health care, with outcomes such as immunization rates exceeding anything I could have expected off the reservation. I gained a deep appreciation of the school clinic model, as it afforded me the luxury of following at-risk youth more closely than I ever could in the office. Most importantly, I witnessed how a tribe raises a child — a process that naturally promotes resilience by surrounding children with a wealth of positive relationships. My rotation on the reservation deepened my understanding of the forces that propagate toxic stress. I returned to Baltimore with a renewed commitment to advocating for resilience both inside and outside of the exam room.